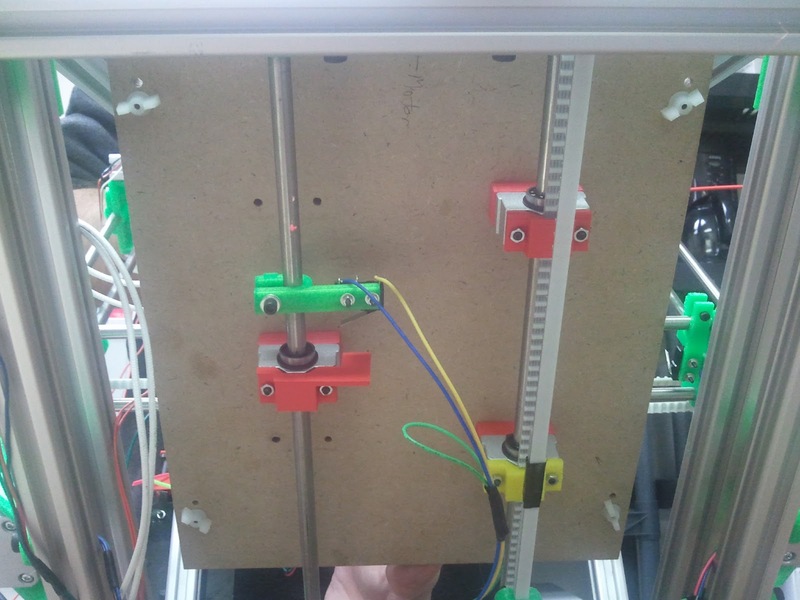 One of the first modifications we made was to attach 40mm fans on each side of the extruder assembly. One's 20mm wide the other is 10mm. The skinny fan presses the X-stop. We're using a modified fan mount we found on Thingiverse, here's our version http://www.thingiverse.com/thing:45759 . We also printed some 40mm fan grills http://www.thingiverse.com/thing:20081. Next, we had to fix our Y-axis travel problems. 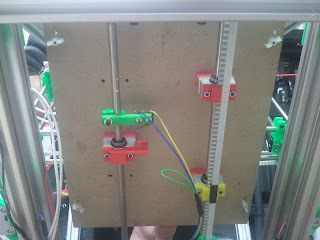 Our printer has 2 rods for the Y-axis and 4 bearing mounts. We removed one of the mounts and redrilled the holes so there's no more tension on the rods as the bed moves. The platform is raised by 10mm blocks placed between the bearings and the board. 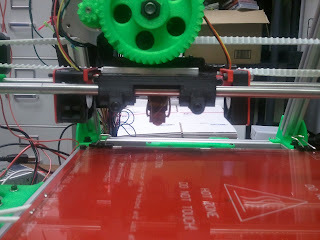 A custom bracket (http://www.thingiverse.com/thing:45838) is attached to the bottom of the left bearing mount to trigger the Y-stop. Here's a shot from underneath so you can see all those changes. 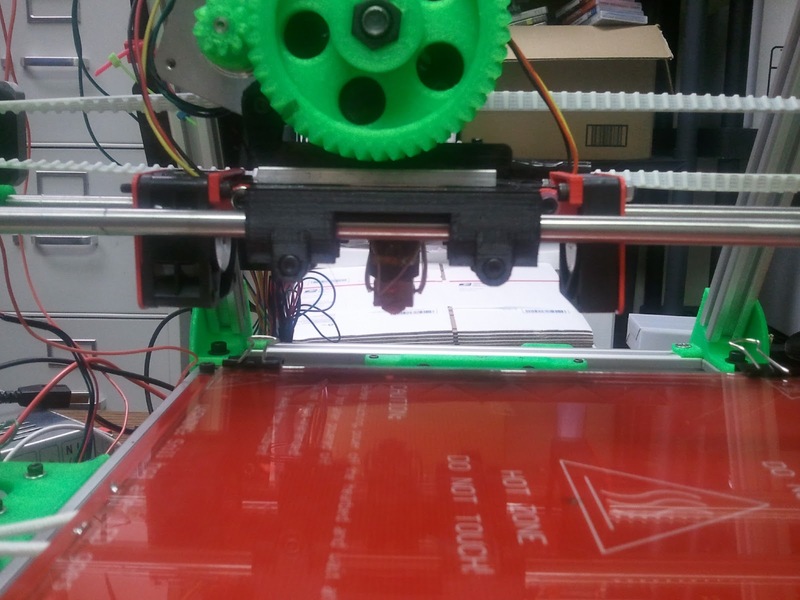 (Our custom parts are printed in red).